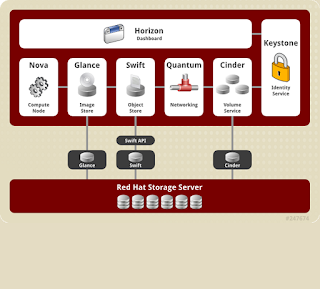 This article explains you about the Red Hat Enterprise Openstack Platform. We will explain you how to install, manage and troubleshoot the Red Hat Enterprise Openstack Platform in the next article. What is Red Hat Enterprise Openstack Platform? Red Hat Enterprise Linux OpenStack Platform delivers an integrated foundation to create, deploy, and scale a secure and reliable public or private OpenStack cloud. Red Hat Enterprise Linux OpenStack Platform combines the world’s leading enterprise Linux and the fastest-growing cloud infrastructure platform to give you the agility to scale and quickly meet customer demands without compromising on availability, security, or performance. The OpenStack system consists of several components. You can install any of these components separately and configure them stand-alone or as connected entities. Each component offers an application programming interface (API) that facilitates this integration.